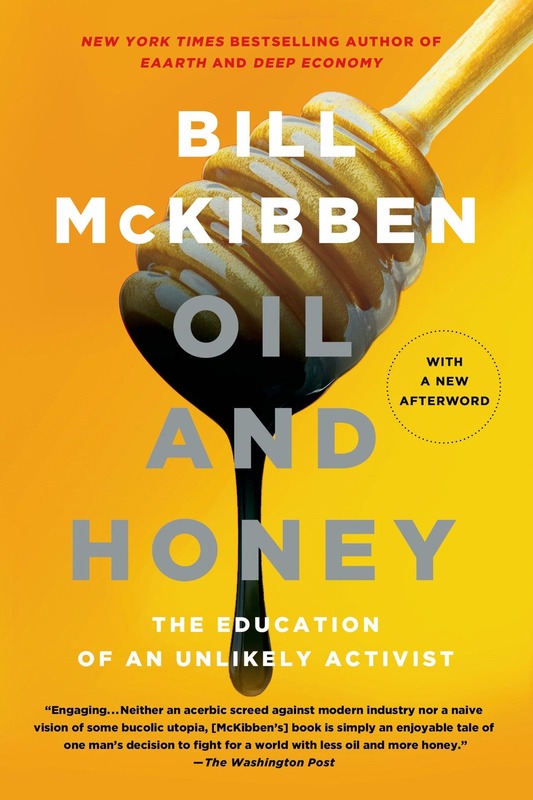 Bill McKibben has been writing about climate change for 30 years. Along the way, he has been arrested multiple times, spat on, had his life threatened, and been spied on by minions working for fossil fuel companies. Oh, he also founded 350.org, whose stated mission is to keep the concentration of carbon dioxide in the atmosphere below 350 parts per million. The world blew by that benchmark some time ago and is racing toward the 450 ppm level. He has written almost 30 books on the subject, including The End Of Nature in 1989 and Oil & Honey in 2013. 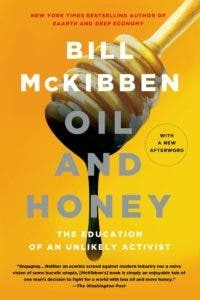 If you want to be fully informed on the topic of climate change, the writings of Bill McKibben are the definitive source. “If we don’t win very quickly on climate change, then we will never win. That’s the core truth about global warming. It’s what makes it different from every other problem our political systems have faced. As if to underscore Mann’s and McKibben’s warnings, on December 5, NASA posted a video on YouTube showing how the Arctic ice sheet has melted from September, 1984 through September, 2016. It’s pretty scary stuff. Even the AFL-CIO, which normally has supported progressive policies, has signed on to pipeline projects because they will provide jobs for its members. Human beings are genetically programmed to react to short-term self interest. That as much as anything may seal the planet’s fate. The fossil fuel industry is more or less content with the Paris climate accords because they will allow them to continue extracting their reserves and monetizing them over time. The lengths the pipeline industry will go to in order to stifle resistance to the construction of the conduits that carry oil and gas from production areas to refineries and distribution points is revealed in a series of articles published by The Intercept. Energy Transfer, a company that owns and manages many pipelines, hired TigerSwan — a private security firm formed by James Reese, a former commander of the elite special operations unit Delta Force — to shut down the myriad protests surrounding the Dakota Access pipeline and other projects. Free speech — the touchstone that the Supreme Court used to justify its Citizens United decision — clearly applies only to corporations these days. Citizens are expected to shut up and obey duly constituted authorities. Many states where oil pipelines and fracking are common have passed new legislation recently — at the urging of Koch Brothers supported pressure groups — that makes interfering with such operations a felony punishable by up to 40 years in prison. Land of the free? Think again, fellow citizens. The fiction of “national security” now takes priority over civil liberties as America paddles furiously backwards toward a plantation society where corporations sit atop the social hierarchy and deign to let a few souls rise while the rest are condemned to permanent servitude within a corporatist agenda. If we followed Jacobson’s advice, not only could we dramatically slow global warming but we could also “eliminate most of the air pollution that kills 7 million people a year and sickens hundreds of millions more, almost all of them in the poorest places on the planet,” McKibben says. He adds that pollution now outweighs tuberculosis, malaria, AIDS, hunger, and war as a killer of people. McKibben also singles out Billy Parrish, CEO of Mosaic, the biggest solar lender in the country. For $50,000 worth of insulation, solar panels, and energy efficient appliances, Mosaic can make a home run on 100% clean energy. “We can make a zero-down loan where people save money from Day One,” says Parrish. As good as that may sound, Mosaic has only funded improvements to 36,000 homes so far — a drop in the bucket among America’s millions and millions of homes. “To go to scale, government is going to have to lead: loan guarantees for poor people, taking subsidies away from fossil fuels, making sure that when homeowners feed low carbon energy into the grid they get a good price from utilities,” McKibben says. 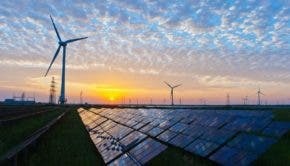 What is needed is the Green New Deal Alexandria Ocasio Cortez and her supporters are advocating for, a clean energy moonshot equivalent in scope to the Apollo program. Is such a thing possible? Sure it is. As always, if the people will lead, their leaders will follow — eventually. But time is critically short. Danny Kennedy, a longtime solar pioneer who runs California’s Clean Energy Fund, tells McKibben, “The state legislature did not pass key legislation on clean energy this year despite a lot of hot air expended on it, and despite the fact that the Dems have a supermajority. I’m told to be patient and ‘we’ll get it done next year,’ but I find it frightening that folks think we have another year to wait.” The bald truth is, we don’t. Bill McKibben sums it up this way: “The arc of the physical universe appears to be short, and it bends toward heat. Win soon or suffer the consequences.” Oddly enough, he says the awfulness of the Trump maladministration has shocked a lot of people out of their habitual complacency. Trump may be just the emetic America — and the world — needs to finally take climate change seriously before it is too late.